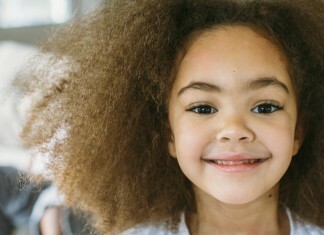 All of us want to have luscious locks that look gorgeous no matter the length and no matter the style. 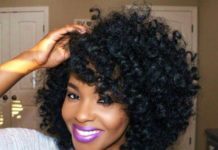 Unfortunately, not all of us are blessed with thick and luxurious hair, some of us have thin and fine hair that doesn’t always have the life and volume that we would like it to. However, even thin hair can look absolutely breathtaking when it is given the right cut and styling. A skilled stylist will know all the tricks that will make fine hair appear thicker, fuller, and with more body. So, whether you love your hair long or prefer to have shorter locks, there will be a hairstyle that will suit your fine hair perfectly. 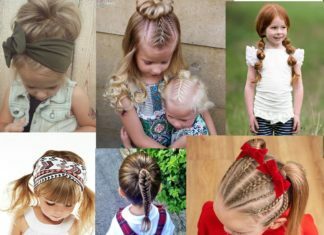 So, leave your fine hair woes behind you and take some inspiration for your next look with these fantastic hairstyles for fine thin hair. The graduated shape of this bob gives a boost to the volume of the hair, whilst still being able to keep plenty of length in the front. 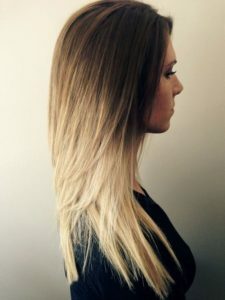 The layers give this thin hair some natural volume, which can be enhanced with a rough blow dry with texturizing spray, or styling into messy waves. 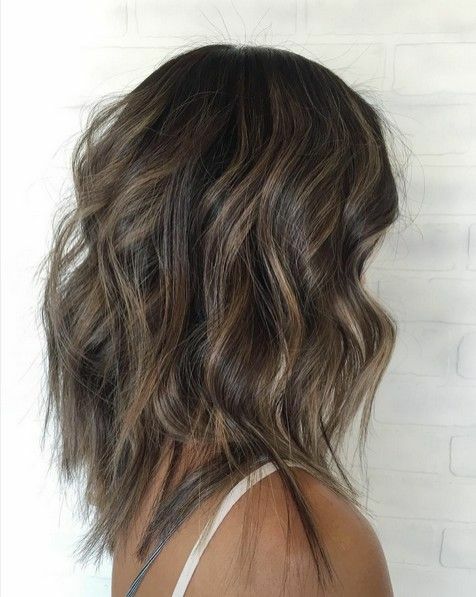 The addition of a balayage style draws gives the hair extra texture, whilst also looking gorgeous and on trend. Pastel shades like this lilac, are not just so on trend right now, they can help to bring an extra dimension to fine and thin hair. 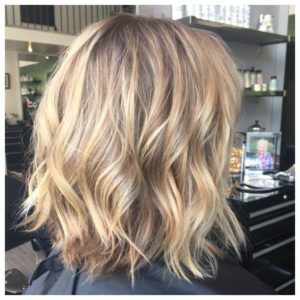 By using slightly darker tones at the roots and underneath the upper layers of hair, you create the illusion of depth, which is strengthened by some lighter highlights on the top layer. A few layers give this stunning short bob a rounded shape and a blow dry with a wide-barreled brush has created great lift at the crown. 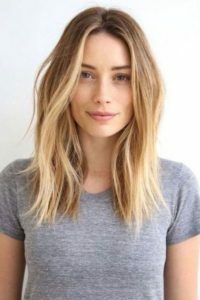 An easy way to bring some life to thin and wispy hair is to give it a slightly layered cut that can be given volume by styling into beachy waves. The multiple tones of blonde – both light and dark – gives extra depth and perfectly defines the delicate layers. A really great hairstyle for medium-length thin hair. If you want to make sure that your beachy waves are always on point, invest in a good sea salt spray that will always give your hair the perfect texture. Many guides will tell you that you should avoid bangs if you have fine hair, but you don’t need to listen to that. There is no reason to avoid bangs if you have thin or fine hair. 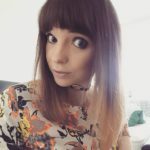 Yes, it is true that bangs in fine hair can look a little wispy, but with the right cut and styling, they can look great. Choppy bangs like those on this lob, very rarely look wispy and they tie in perfectly with the tousled styling, which is a great way to add texture to fine hair. There is something effortlessly sophisticated about a short bob, with poker straight locks. The simple layering creates a little extra body and the side parting gives some volume around the hairline. 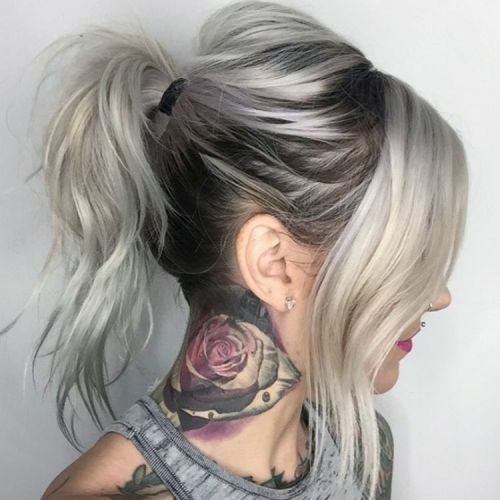 A few highlights through the lengths gives the illusion of depth and tucking a few strands behind the ear will draw attention to great cheekbones. A style like this is relatively low maintenance, requiring minimal styling, which is good for fine hair as it can be more prone to damage. 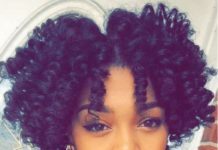 One of the best ways to add volume to thin hair is to add some bouncy curls and ringlet style curls can add some thickness to even the finest of hair. The bold curls add body to the hair, whilst multi-tonal blonde highlights in caramel and honey give some extra definition to ash brown hair. A really lovely mid-length hairstyle for thin hair. 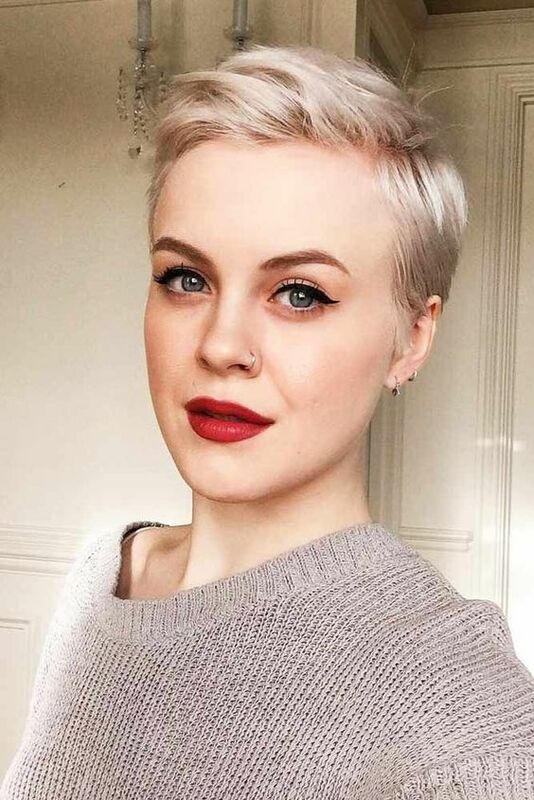 Thin hair can have just as much impact as thick hair, as this stunning platinum blonde bob shows. 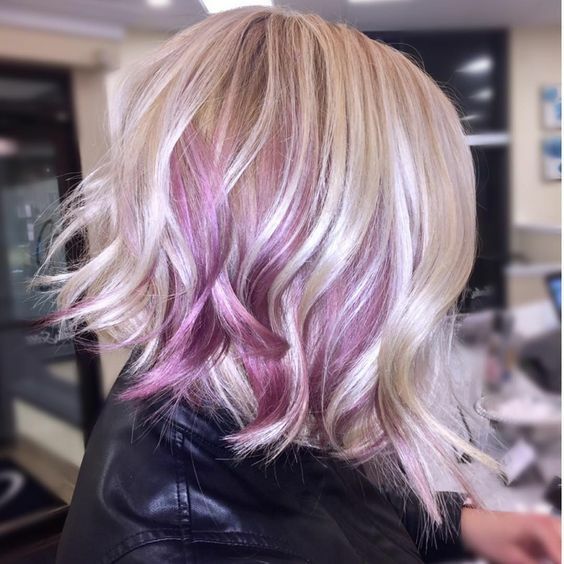 The vibrant color is just killer and really lifts the hair without adding volume, whilst the slightly darkened roots create the illusion of extra body. The razor sharp edges of the bob are accentuated by the poker straight locks, which gives the hairstyle a super edgy appeal. The center parting is stunning, but it also could be switched to either side to great extra lift and give the hair a completely new look. If you have long, thin hair you should avoid shorter layers, as this will make the lengths look wispy and sparse. Instead, keep the layers long and slightly overlapping to create plenty of movement and body. The ombre effect kicks in, just as the layers stary, which creates an extra dimension as well as looking absolutely gorgeous. The blunt edges of the cut, stop the ends from appearing too fine. The pixie cut will always look stunning on this hair types as the short layers take away all the wispiness from the hair. Instead, there is plenty of natural volume and body, for a style that is so playful and has so much movement. 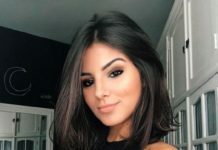 The side swept bangs are a lovely touch, which can be styled in a number of ways – curled under, flicked out, or even into a quiff, to give this one short style a number of different looks. 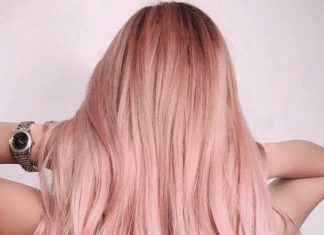 Also, how dreamy is super subtle blush pink shade? If you have thin hair, the way your style your locks can make all the difference. 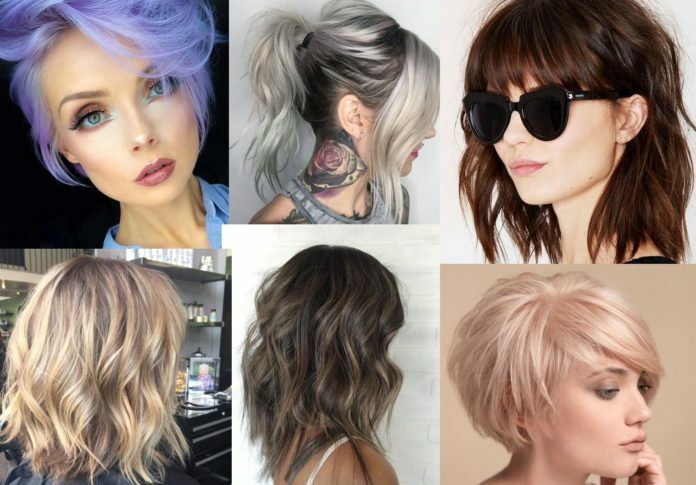 With a little bit of creativity, you can create endless styles for your thin hair that will have plenty of impact. This perfect ponytail relies on texture, which can be achieved by adding waves with a hair straightener. Using the hands, sweep up into a high ponytail leaving some chunky tendrils loose. Finish the look by using the tail end of a comb to create volume at the crown by teasing up the hair. Stunning! Natural red and auburn tones are great for fine hair as the rich tones don’t contrast against the scalp, which can be a problem in those with thin hair. The tousled waves have created body and movement and the honey highlights around the hairline draw attention to the features and bring some light to the face. 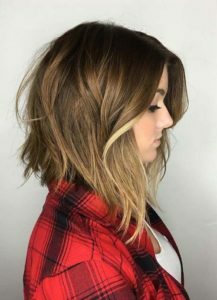 A shoulder-length bob in very fine hair can look a little limp and lackluster, as it can be hard to get body in the lengths and through the roots. 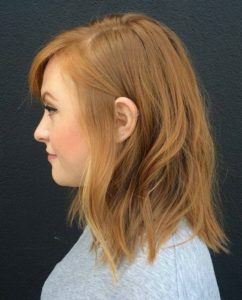 Volume can be added with a few shaggy layers below the chin, which will add some texture and movement through ends of the hair. 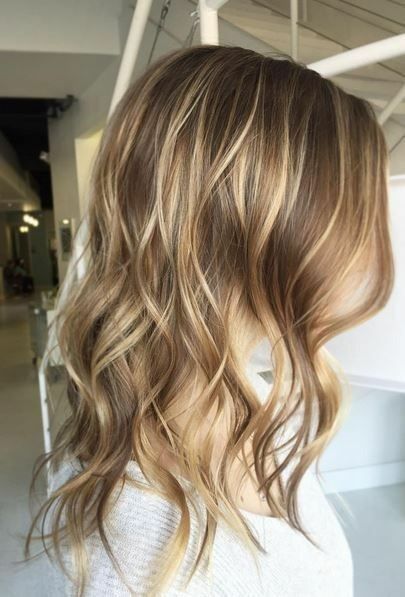 The addition of some messy waves helps to add some lift at the roots and through the lengths, which is given an extra illusion of depth thanks to some multi-tonal highlights. 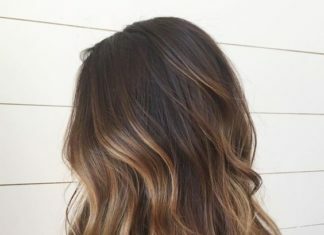 The highlights through the waves help them to stand out against a darker base – effective and beautiful. 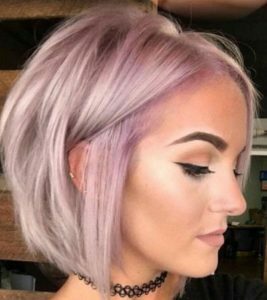 Thin and fine hair really shines when it is cut into short pixie styles as evidenced by this stunning purple look. 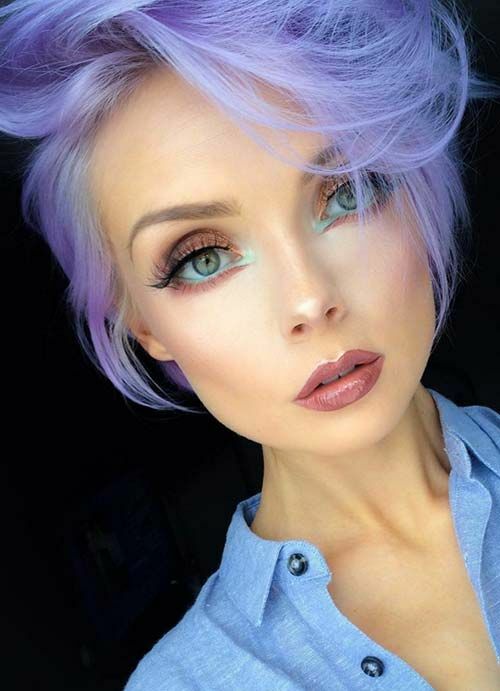 The pastel lilac shade almost glows it is so stunning, which brings so much life to the hair. 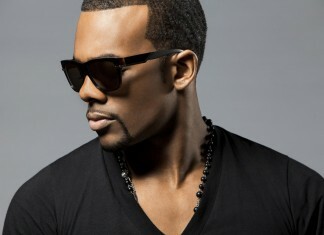 The haphazard styling is so effortlessly cool and creates so much body, particularly around the hairline. The slightly different tone at the roots creates depth and the illusion of fullness, whilst the tendrils to the jawline frame the delicate features of the model’s face perfectly. Magical. 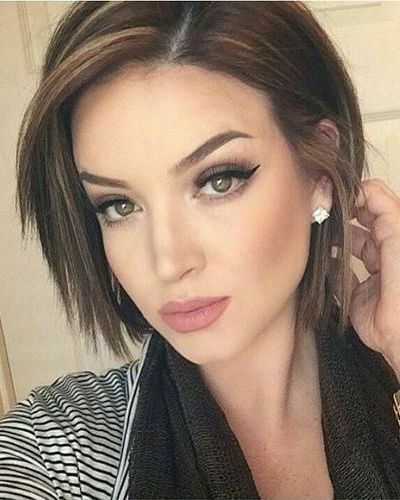 There is so much to love about this short to mid-length style for thin hair. The V-shaped cut creates lift and volume at the back and the longer lengths in the front have been curled to create body. The platinum blonde shade is absolutely dreamy, but it is the violet undelights which really bring the feel of fullness to this style. Adding highlights and low lights to hair is a great way to add dimension and fullness to your fine hair. This subtle balayage doesn’t just look amazing, it also gives great depth to the hair and creates the illusion of thickness. 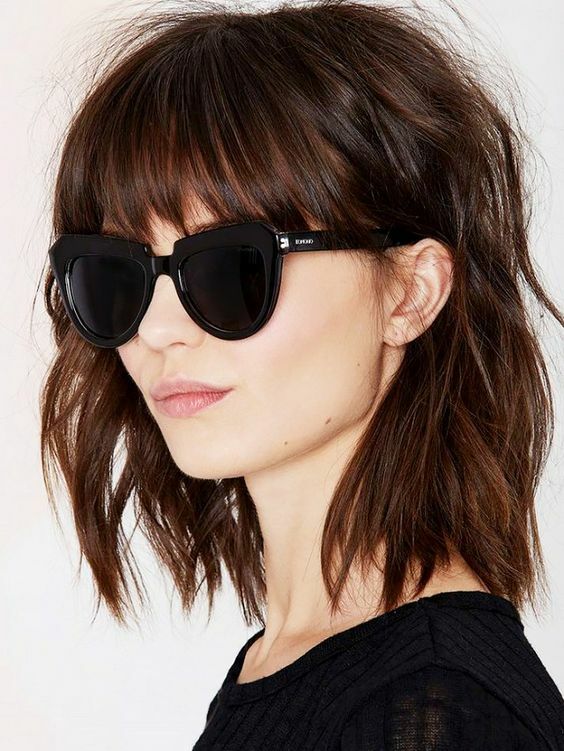 The choppy layers through the ends of this lob and the casual waves bring some extra life and lift to the style. Creating volume in fine hair is not the only way to make thin hair look stunning. Fine hair can have a beautiful softness and manageability that should be embraced, instead of back-combing it to within an inch of its life. 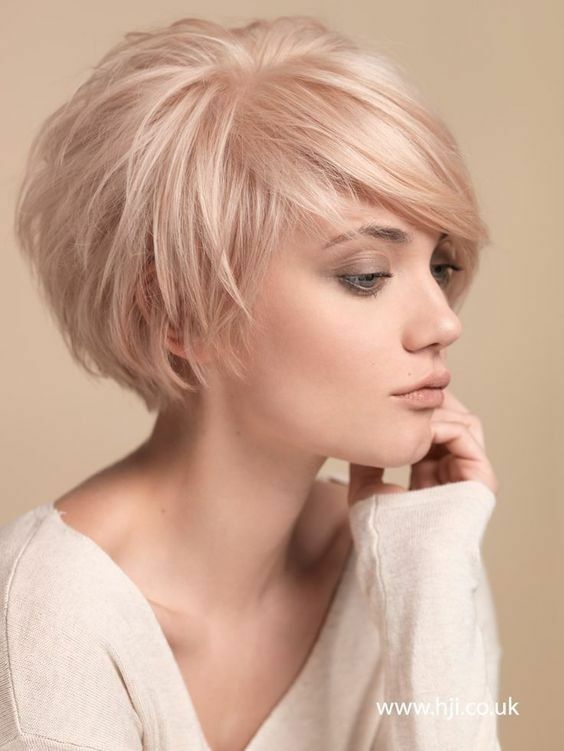 This short style, with cropped sides, has a beautiful airy feel thanks to the use of minimal styling and products. The soft grey and platinum blonde shades give the hair an extra lightness, which is just beautiful. 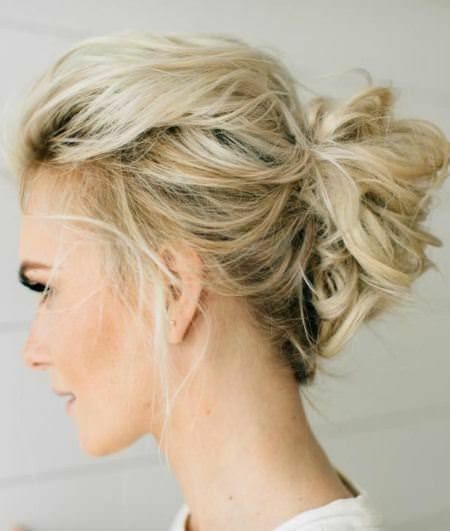 Before styling your thin hair into the timeless messy bun, add some curls using your hair straightener or dry damp hair with a diffuser and seas salt spray to add texture. Use fingers to comb the hair back and tie in a loose ponytail and pin into a bun shape. Tease a few tendrils loose to complete the look. Effortless, relaxed, but always stunning.